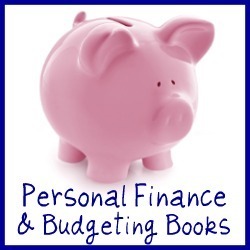 Share your reviews and recommendations for books on personal finance, money management and budgeting, and also see some titles I suggest. Here are some of the recommendations of books to read so far. I add more all the time, and so can you! It may not always be a fun topic, but every good home manager, along with everyone else in the family, needs to be able to handle their personal finances. There are lots of books out there designed to deal with issues ranging from money management basics, family and household budgets, getting out of debt and building your family's nest egg. I've read many books on these topics, and this page is a work in progress where I will be sharing some of my favorites with you. Just to start you off, even though I've not written a full review yet, the one that first pops into my mind that I recommend to everyone is The Total Money Makeover: A Proven Plan for Financial Fitness , by Dave Ramsey. It is a no nonsense plan to get out of debt (if you have that problem) and build wealth and security for your family. I'll write a full review later, I promise. I'd also like to open up the floor to let others suggest the titles they think are some of the best personal finance books and books on money management and budgeting. After all, I can't read everything or know all the good ones, so what are your faves? Have you read a book about personal finance, personal money management, or budgeting and thought it was really helpful or informative for you in your role as a home manager, and would recommend that others read it too?